Become swept away into a world of light just beyond our perception. Piper Walker, a high school senior, has seen her share of hard times. At a young age, she lost her mother to breast cancer shortly after her brother Charlie was born. Raising her baby brother under the wrathful eye of an abusive and alcoholic father, she relies heavily on her small, but tight core of friends. Lisa, her best friend from kindergarten, and Chris, her longtime boyfriend, help to keep her above water. Along with her friends, Piper’s elderly neighbor, Ester, and her lynx point Siamese cat, Jazz, become the extended family she never had. Even before her mom died, Piper always felt different. She was opposite of her popular best buddy Lisa, and didn’t enjoy doing what most other teenage girls liked to do. She wasn’t much for fixing up and thought hanging out was boring. Music and nature were her muses. Piper grew up next to a forest with countless paths, one of which led to the high school; the others to myriad of seasonal wonders. Piper spent countless hours in the woods exploring and finding solace in the trees, wild flowers, and every kind of animal. Although somewhat shy and insecure of her voice, Piper was lead vocals and a passionate bass player for a garage band called ‘The Coat Tails’ that consisted of Lisa, Chris, and their close friend Josh. Having never sounded better, they were sure to win the senior talent show. After a Spring Fling dance, a near-death experience prematurely rebirths Piper to her destiny, for not even she knows who she really is. Her identity has remained buried deep for her protection. She awakens to a dimension where light laden with emotions emits from everything around her. Overnight, Piper and her world are transformed into something radically different. What she thought was real was only the beginning, a thin veneer to actual reality. Universal truths are turned upside down. She wakes to a magical world with an ancient history and kingdoms of races. Life becomes way more beautiful, complex, and breathtaking than she ever imagined. A menagerie of supernatural and metallic gleaming mythical characters come to assist Piper to take her first steps in her new world and keep her safe. The realm of brilliant auras, feelings, and endless color surround her creating a language she doesn’t understand. She begins a long journey to discovering and mastering her powers and senses that defy fantasy. Riding gravity waves, casting spells, and leaping to exotic locations become her new curriculum. However, amongst the Eden lies a fatal danger. For centuries, a tyrannical rule has suppressed and strangled the enchanted world she is now part of. A most brilliant Guardian, named Eli, and his council, the Arbitri, have become the only voice. Evolution has stopped. Only Piper has the power to bring about change. Amongst the unspeakable beauty, unknown danger, and the desire to find out who she really is, Piper stumbles upon an unexplainable, first-time love that becomes the only thing that she can cling to in her stormy and unexpected life. From the first time his voice dances on her ear drums, she is taken by something wonderfully unreal. Piper now must juggle her two worlds – and disguise her increasing abilities and morphing appearance while attempting to be the slightly nerdy teenager everyone knows. This story captivates the imagination with the beauty of nature and the celebration of love, life, and light – and the power of one girl. You can follow Mitchel on his website, and/or facebook. 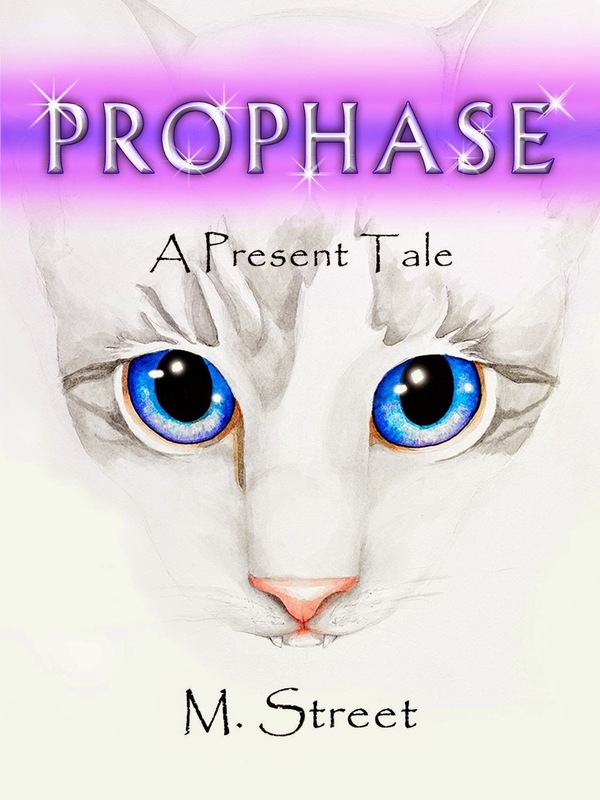 You may purchase Prophase through smashwords, amazon, or google play. This was a wonderful read! I really enjoyed the world Mitchel created. It was a little slow in the beginning, but it was necessary for Piper's character development. It was difficult to put down once Piper has her near death experience, all the pieces of her past feelings begin to match, and answers are seeked out. Mitchel wrote a flawless read, I look forward to reading more from him! Thank you so much for being part of this tour!